Are We Ready Across the Himalayas? Could we encounter a situation when China and India get into a full-fledged war once again. Unlikely, argues the General in his rather detailed analysis of the two countries’ capabilities and military build up. However, that does not rule out confrontation between the two nations below the threshold of an all-out conflict. The article examines the possibilities of conflict between the two rising powers and offers a reality check of our capabilities. In Sep 2015, China held a massive military parade in the Tiananmen Square to showcase its growing military might. Since then its actions in the South China Sea have been even more belligerent, to say the least. It has cocked a snook at the USA. It is aggressively taking centre stage in world affairs with the clear signaling that it is the world’s next superpower. China unambiguously wants a new world order with it at the centre. In this endeavour, it seems to have Russia firmly on its side. In our region, it has been actively reaching out to all our neighbours including Sri Lanka, Bangladesh, Myanmar and Nepal so that they toe its line. 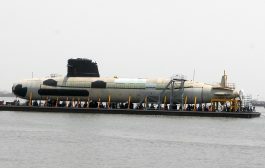 It has enhanced its levels of relationship with its all-weather ally, Pakistan, by providing it military equipment, especially aircraft and artillery. The much-hyped CPEC has given this friendship a great fillip. China has repeatedly blocked our efforts to get Pakistan based terrorists blacklisted. It has given numerous lifelines to Pakistan to stay afloat. Chinese thrusts reinforce the String of Pearls theory quite obviously. 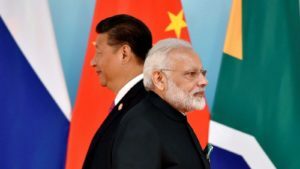 As far as its attitude towards India is concerned, its tone and tenor towards us has been cold and tinged with animosity despite trying to enhance its economic footprint in our country. It has openly thwarted our efforts to get membership of the NSG. Its position on its claim on its perceived areas south of the Line of Actual Control (LAC) has hardened specially in the context of Arunachal Pradesh. Add to this, the increase in incursions, face-offs, tensions and shriller claims along the LAC. To top it all, vehement protests are articulated through state-run media whenever Dalai Lama or any top Indian leader goes to Arunachal Pradesh. 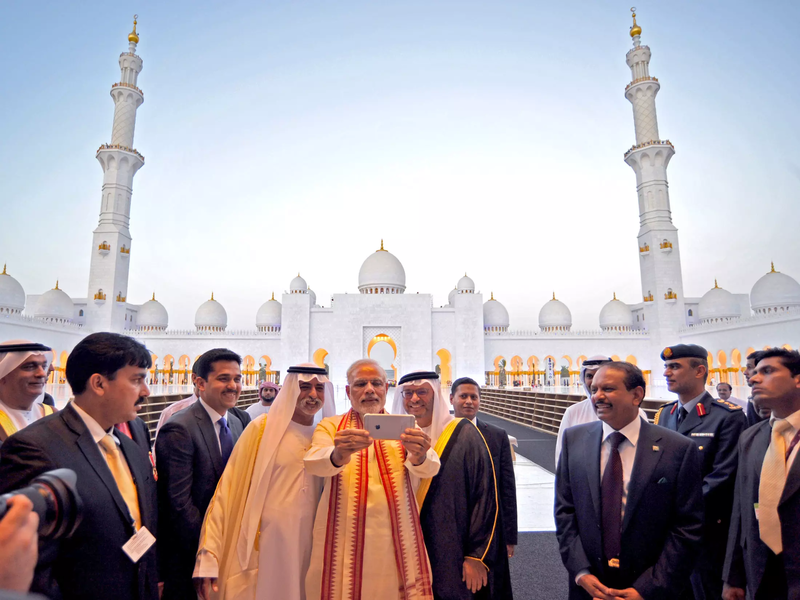 The emerging picture cannot be ignored like ostriches routinely do. Recall what Mr George Fernandez, our erstwhile defence minister had once said? China is India’s enemy No1. It is time we take this seriously and analyse the issues in greater detail. In addition to any other form of arm-twisting, a potent military threat is emerging from China across the High Himalayas. We can ignore it only at our peril. 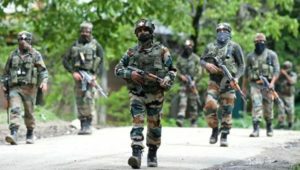 Capability Upgradation – is it Enough? Lately, our armed forces have begun upgrading our preparedness to handle the enhanced military threat from China. New formations are being raised, including the much touted Mountain Strike Corps. Air bases are being upgraded or being constructed. Infrastructure is also being upgraded and equipment being procured. Overall, capacities are being enhanced to be prepared for enhanced threat levels from across the Himalayas. Are they enough? That is the main question for which the nation needs answers and assurances. Preparing For the Worst Case or the Nightmare? The standard military threat assessment is that China can and will employ up to 30 – 32 divisions against India. The premise is that the threat will be maximalist in nature in an all-out, short, high intensity conflict. If maximalist threats are met it is assumed that the lesser threats can be taken care of. The maximalist scenario supposes an all-out war between China and India. Such a scenario is good for force structuring and posturing. It is unrealistic in actuality. The entire story needs a rethink. What is the reality? Firstly, gone are the Second World War days when equally equipped adversaries fought head on. Wars between nuclear nations have since been fought on a proxy basis. The wars in Africa, Middle East, the Vietnam War, invasion of Afghanistan by USSR were all proxy in nature. The last major Indo-Pakistan conflict took place in 1971. Even the Kargil conflict was postured by Pakistan as one between freedom fighters and Indian Armed Forces. Pakistan was careful not to term it as a war between the two nations. The world body rushed in to douse the fire and contain the conflict at the first opportunity. Secondly, today’s conflicts are fought between unequal and dissimilar opponents. The Gulf Wars, Global Wars on Terror, the Afghanistan Campaigns, Middle East conflicts raging presently in Syria, Yemen, Lebanon, Iraq, Jordan, Egypt, et al, are all about unequal and dissimilar opponents with non-state actors coming to the fore. Proxyism continues unabated. In such a scenario will India and China ever get into a head-on, no holds barred, arms collision? Two major growing powers, representing 1/3rd of humanity, with deepening trade ties, in a development mode and fully nuclearised. The chances are slim. Additionally, China’s major problems lie to its East: Taiwan, South China Sea lanes and islands, and Japan. It cannot shift its major formations from the mainland, leave its core – Han dominated Eastern Coast – depleted and pump 32 divisions into Tibet including their Rapid Reaction Forces for a head on collision with India with no guarantee of success. 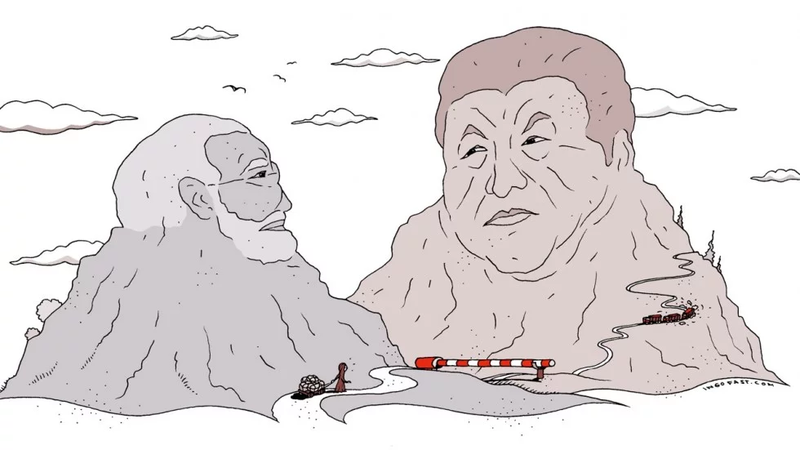 In fact, if any outcome is predictable; it is that in a full-scale conflict China, even presuming that it will be victorious, will emerge weaker, bruised and with its superpower dreams receded on a near permanent basis. Combine it with the slowdown in its economy and the potential of ensuring internal instability, the answer emerges – Hara Kiri. That is something that the Chinese leadership is intelligent enough to be fully aware of. They will consciously avoid such a scenario. However, the chances of two competing rising powers with a history of conflict and unresolved border problems between them getting into conflict and confrontationist situations of lesser magnitude is high. It will at best be a series of small confrontations or face offs with varying degrees of latitude for application of force. In fact, we are witnessing the portents of that in the increasing border face-offs with China. The Chinese will not lose an opportunity to raise border tensions and create situations which will show us in a poor light as a weak nation. If the PLA can orchestrate such a situation and humiliate India, it will. The Communist Party position will improve internally. It will consolidate its hold over Tibet and other outlying non-Han areas. They will emerge as the undisputed power in Asia. Their international standing will improve considerably; especially when India, a major strategic partner of USA is put in its place! Pakistan will revel in such a scenario and may lose no time to jump into the fray. The question is that while we are preparing for the unlikely worst case are we prepared enough for the more likely lesser cases? In fact, the nightmare scenario is an intrusion or two with a force level ranging from a battalion group to a brigade sized force in areas which they claim as theirs backed by elevated levels of mobilisation of their reserves. A bright case for executing their theory of hi-tech wars under local conditions. We will be in a soup if we are not prepared. Make no mistake! To handle such situations we need strong political leaders, military commanders, and supportive bureaucrats with guts and a deep understanding for proportionate responses. There is a need for adequate planning and equipping of our forces in a focused manner to be able to take on such variable situations. We need to walk the talk and back our cards with money on the table. So what’s our experience on this count? It’s a mixed bag. 1962 dominates our national psyche. The Sumdorong Chu incident was not very well handled by us. The String of Pearls theory raises dread. The Kargil intrusions were also poorly handled, initially. On the positive side is the fact that in 1967 we gave them a bloody nose in the Nathu La incident. They could not have forgotten it. All face-offs on the LAC have been adequately tackled. Our Navy has ventured into the South China Sea. Our diplomacy and foreign affairs dealings have been robust. However, we are not accustomed to the plausible levels of impending conflict, which needs outlining. Neither full scale nor local, but with international ramifications. Conventional and hybrid rolled in with indirectness; a la Liddell Hart. Hybridization and surrogacy will come through the North East and Pakistan. Indirectness will come through Nepal, Bhutan and Myanmar by coercion of the weak. These are scenarios which are never discussed in formation war games also. Hence we are not quite accustomed to it. Containment, Eviction or Counter Intrusion? The options available to deal with the likely situations are essentially containment, eviction and proactive moves, or a combination thereof. 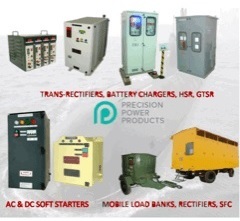 These options have to be calibrated, firm, and decisive to be result oriented. Containment is simple – physically block the intrusion and do not let it expand. An adventurous variant being blocking the ingress/egress route or cutting of supplies of the intruding force, if feasible. This is not just the least cost option but also the least pay off option. What if the intrusion is such that it cannot be de-escalated without firing? What if the Chinese refuse to budge? Are we going to see a protracted face off on the LAC petering out into an adverse situation? That will be the end of our UNSC permanent seat aspirations. The Depsang incident had all the portents for such an end game. I believe the Chinese were testing waters in that incident. This is their least cost – best pay off option. Eviction is conflict – make no mistake. It involves force, employing it, firing shots in anger and runs the risk of escalation. If the intrusion is by a big enough force, we will have a Kargil like situation on hand! However, it is more macho. It needs chutzpah backed by ability to embark on such a path. The third option of proactively counter intruding in any other area is dynamic. It avoids direct contact, has better escalatory control and will also be seen as macho by all concerned. Any pro quid quo action needs solid capability, staying power and a mental change since an offensive will be taking place in one area while being defensive elsewhere. A combination of any of these can be brought into effect depending upon prevailing conditions dictated by emerging situation(s) on ground as well as international and internal sentiment. But to do any of this one needs clear headed leadership and adequate military capability. What is the clear-headedness and capability we are talking of? The core capability we need is well-equipped Infantry to hold ground in the high Himalayas and devastating fire power to inflict damage on a sustained basis. Short, medium and long range fire power should have annihilative capability despite taking a hit. Remember that the Chinese focus is also on increasing firepower. That means a strong Air Force and Artillery. To make firepower count we need to force multiply it with accurate surveillance and target acquisition capability. This implies that the arrowhead of our forces whose capabilities have to be strengthened and sharpened revolves around Infantry, Artillery and Airforce. The focus in future has to be on them. Concepts, like fighting arm, combat arm, flying branch et al, have reached their fossilization stage. Mechanised forces have a very limited role that too in limited areas due to restrictive terrain factors. 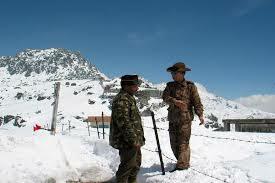 A word of caution – the Air Force in the Himalayas is a fickle friend for both sides – it is not all terrain or weather! The primary responsibility will then devolve on that brave Infantryman and that hardy Gunner to see the day through when the chips are down. Examine the conflicts in Kargil and Nathu La and the answers will flow. This by no means discounts others who will have to play their supporting part. Any misperception or misplaced interpretation will lead to a national embarrassment. Make no mistake on this. On the western borders, synergies can be generated between theatres. However, along the LAC, each sector is isolated from the other and each valley has a different challenge. We might be involved in a scenario of segregated incidents in time and space with an overall correlation. Each segregated incident presents an opportunity and a threat. We need to be self-contained in each segment to deal with the threat and also exploit the opportunity when it presents itself locally. So the commander has to have a dynamic and flexible mindset backed by a self contained force structure. The seeds for the theatre command concept lie here and will be discussed later. From a macro viewpoint, the overall mindset has to change from the hesitantly dogmatic defensive one to that of an offensive orientation. We need to make China understand that any adventure on its part will be costly on many counts. However, for an offensive mindset, we need to have a well-developed capability backed by a good joint forces structure. 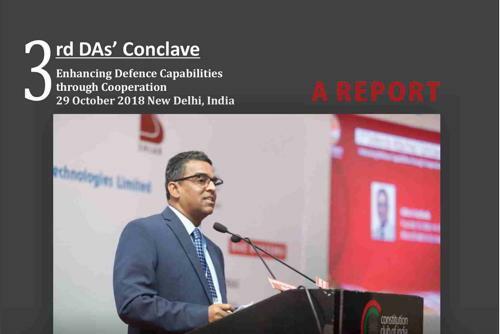 Capability building and force structuring at national level is the prime responsibility of the defence ministry. So let’s look at the specific capabilities we need to focus on and the structures which need to get created. Our infantry is formidable, battle tested and operationally experienced due to its long commitment in counter insurgency operations and LOC/LAC. However, has it got so used to the Counter insurgency operations mindset that a question arises that it has lost some of its conventional skills. The answer is – Yes and No. the infantryman on ground is tough and adaptable. He will reorient very quickly but needs to be better equipped. Today he is not. We need to give him a good rifle first, the basic weapon to make a stand. However it is the infantry leadership which is worrisome. Weaned on a protracted Counter insurgency operations diet, the officer cadre has started being one dimensional and losing the all arms focus. 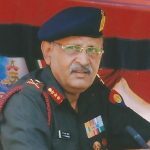 Additionally, the infantry officers, especially at senior levels, have started having a majoritarian outlook in many matters which is detrimental to progress. Major course corrections are needed in this regard. Infantry alone cannot be the answer. Unfortunately, the powers that be are convinced about the fact that conventional conflict with China is improbable. The focus at the very top seems to be on Counter insurgency operations. Our artillery is tough, battle tested and has accounted for itself well whenever the chips are down. It is the only arm which straddles the strategic, operational and tactical spaces. It is operationally experienced due to a balanced exposure to conventional and Counter insurgency operations where many of its units have performed well. Its modernization programme has kicked off to a different level with the impending induction of 155 mm Guns, rockets, missiles and surveillance systems. The problem is that the value of firepower is realised only when needed or by its absence in battle. Hence, thinking about reducing the number of guns in an artillery unit with the sole aim of reducing manpower is short-sighted and dangerous. 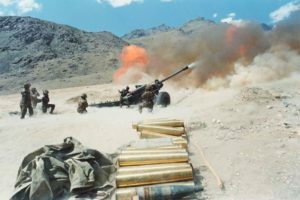 We must remember that there were equal number of artillery and infantry units during the Kargil operations. If you reduce artillery you reduce teeth not the tail! All we have to do is look at the Chinese who are artillery heavy across the Himalayas. They will plaster us when the coin drops, if we cannot hit them back. Another facet is that artillery and mechanised forces officers need to be given more space in the hierarchy and decision making process and not marginalized, as at present. Currently we are out of balance. The all arms focus needs to be regained. Additionally, for firepower to come good extensive surveillance and target acquisition capability is needed. The tendency to think that surveillance is mainly for decision making purposes needs to be avoided. It is very heartening that Air Force has begun its upward spiral in overall capability development. It’s a major battle winning factor in any equation with China simply due to the differential altitudes from which both sides operate. The IAF gives us a great advantage of firepower and strategic mobility vis a vis the PLAAF. We need to drive it home. However, weather and terrain of the Himalayas might not let the IAF operate with the freedom it needs. IAF has also to realise that the war has to be won on the ground. Though it will be a shackled force depending on when and where conflict breaks out, it will be a very critical and important player at any stage of conflict. Cooperation is a principle of war which will be fully tested in the next conflict and we have to begin the process of consolidation now. Integrated responses will be mandated. Joint planning and execution is the order of the day. For this to manifest, the only way forward is joint integrated theatres. We cannot have the Army Command HQ in Kolkata and the Air Force Command in Shillong and hope to checkmate a strong adversary like China across the Himalayas in the East. Wishful thinking! Similar incongruent situations exist in the Northern and Central sectors of the LAC. 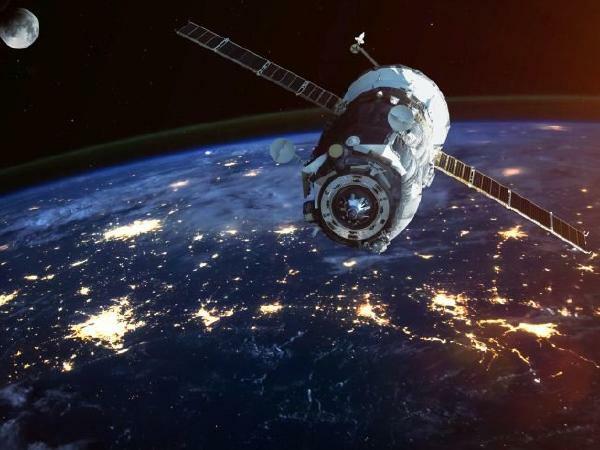 Command HQs of different Services being apart leads to incongruent thinking, duplicated and competing growth patterns as per individual Service requirements and perceptions. In turn, it results in fragmented and less than adequate capability development. A major point to note is that the Chinese themselves have realised this and are reorganizing themselves into integrated theatres. Hence reorganising existing Command HQs of individual Services into Theatre Command HQs is the future. We need to study the Goldwater Nichols Act and the American model seriously. Even the German and Allied models of Second World War need to be studied for their integrated approach. Of course, the Defence Ministry and the HQ Integrated Defence Staff also needs a certain amount of change if integrated theatres are to come through. The Chief of Defence Staff (CDS) will be the ideal answer, however, given the political environment in our country, the lack of strategic thinking and bureaucratic attitudes, the concept continues to wait at the wings. To sum up, balanced all rounded growth will be the way forward. Focus has to be on infantry, artillery and air force. Their growth, synergy between services, jointness and an all arms approach has to be the order of the day. Counterinsurgency operations in J&K and Northeast will continue. An odd reverse there will not pull India down. We have been living with it for over seven decades and will continue to do so. Conflict with Pakistan, whether minor or major can be handled. We are very adept at it. However, a conflict with China is the most serious business in our security paradigm. Hence, the importance of this analysis. Lastly, the Chinese concept of local wars under hi-tech conditions need greater understanding to be won. My parting shot is that blunting the Chinese designs and achieving parity by itself is a victory for India should we get into a firefight with China. 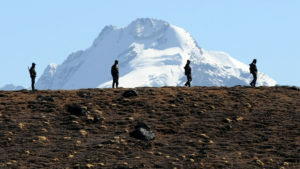 Can China & India Still Be Business Partners Despite Territorial Row In Himalayas?